Banbury Indoor Cricket League champions Hook Norton beat Cropredy by 19 runs in Tuesday’s division one fixture. Hooky were dismissed for 105 runs with Dickie Knight 40 and Adam Bennett 30 top scoring while Luke Cherry took 4-27. Knight took 2-25 and Jordan Glazier 1-29 to skittle Cropredy out in the final over with James Coleman 23 and Joe Fox 21 top scoring. Ruscote Lions beat Banbury by 69 runs. 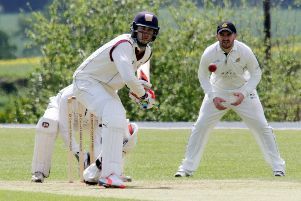 Slamat Sami 38 led the way as Ruscote were dismissed for 126 runs as Richard Simpson took 2-59. Imran Husain took 2-18 and Imran Younis 2-20 to skittle Banbury out with Ben Cross 29 top scoring. 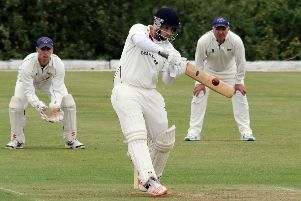 Banbury Veterans beat Chipping Norton by 11 runs. Veterans posted 88-3 with James Mitchelmore 27no and Andy Cross 14 top scoring. In reply, Steve Beck took 3-5 and Cross 2-39 to dismiss Chippy with Liam Manley 19 and Ian Widdows 17 top scoring. Sandford St Martin beat Castlethorpe by 47 runs. Martin Anson 57no and Chris Thompson 30 helped Sandford to 142-5 while Johnny Dale took 2-64. Thompson took 1-27 and Jim Howe 2-12 to skittle Castlethorpe out in the final over with Matt Foulkes 33 and Stuart Walden 30no top scoring. The Brackley Midweek Cricket League’s AGM will take place on Monday, February 4, 7.30pm at Cropredy Sports Pavilion. There are vacancies, so applications need to go to David Cherry by email bbt.tbb@hotmail.co.uk or 01295 750610.